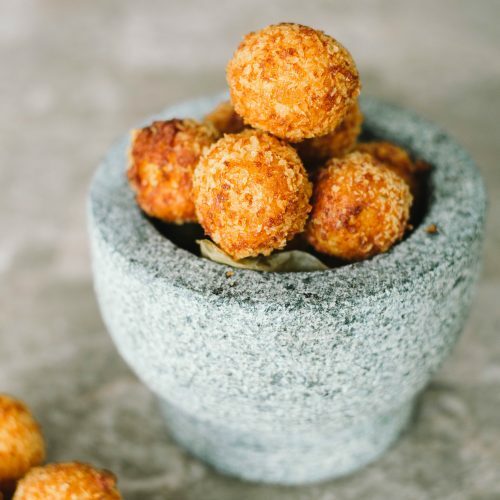 Cheese balls are a perfect entertainment finger food. Be it for game night, school lunches, or entertaining guests, they will be one of the favorite choices on your table! 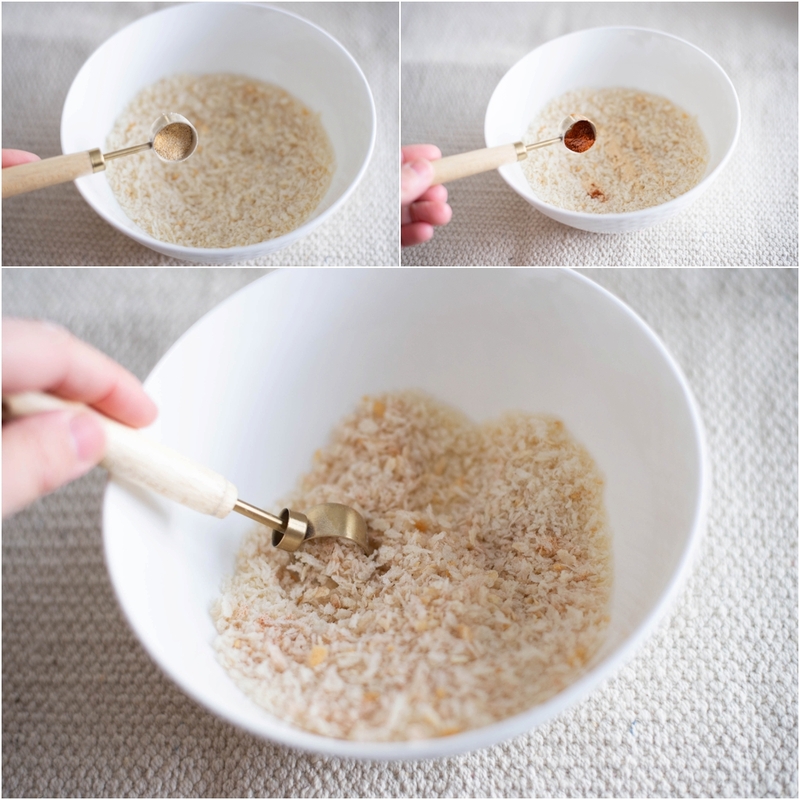 This particular recipe is very easy to make, quite forgiving in terms of technique. As long as you follow certain steps, your success is guaranteed. Flour is added to create a glue bond between the cheese. If you are looking for a gluten-free version for this recipe, you may need to tweak it quite a bit. I also add an egg (or two small ones) as a liquid to further ensure that the cheese balls will stay intact while being fried. Dip these little fellas in a warm marinara sauce and enjoy them immensely. In a medium bowl mix together shredded mozzarella, cream cheese, egg, 1/2 tsp garlic powder, oregano, salt, and flour. Mix everything well together. This part is a little labor intensive :) As you need to make sure that every part of cheese is mixed and covered. 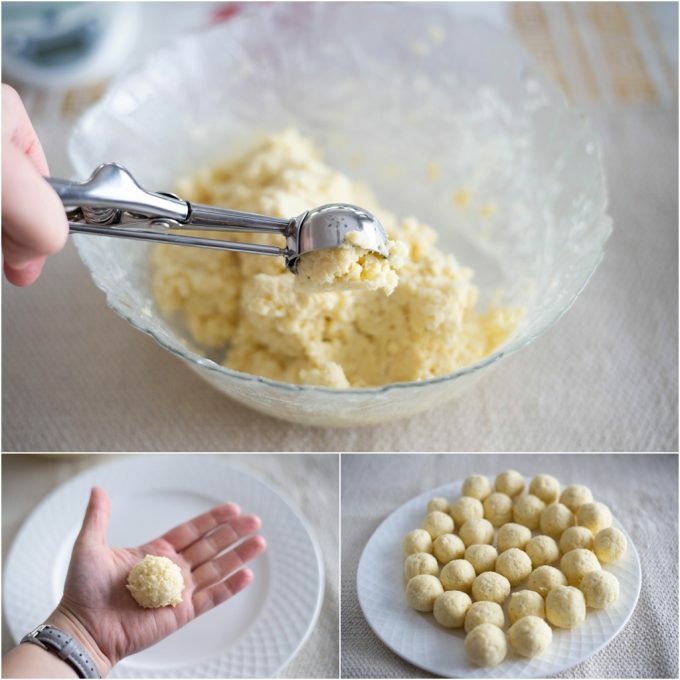 Using medium cookie scooper/ice cream scooper scoop out little balls and place them on a large plate. If you do not have a scooper, you can just eyeball. Each ball is about 34grams. Mix 1/2 tsp of garlic powder, paprika into the bread crumbs. 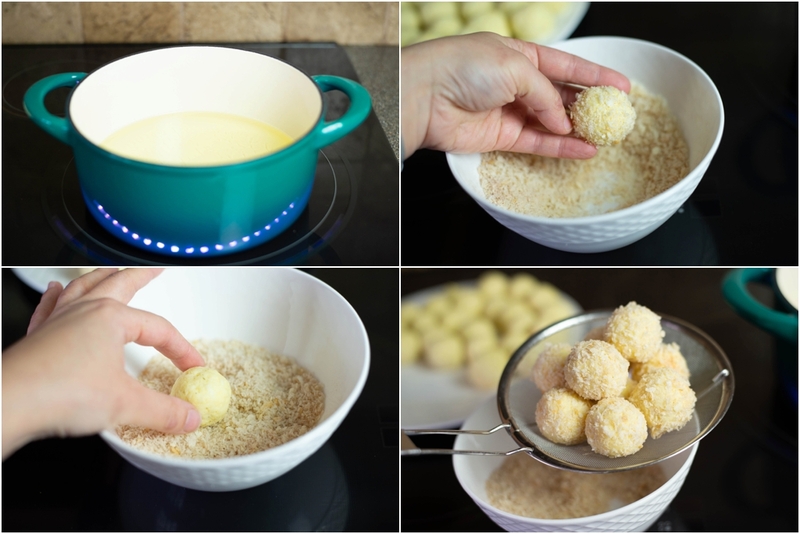 Give it a stir and coat each ball with the panko mixture. Heating a small pot with frying oil is ideal. Try not to use a big pot for this purpose, as you will just be wasting oil. 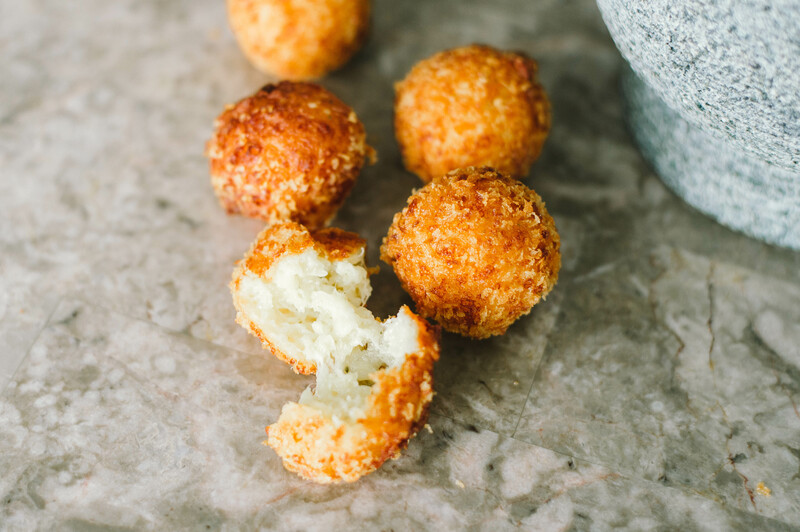 Frying these cheese balls will happen in batches. I fry about 8 balls in one go. They fry very quickly, so you will not have to wait too long. Heat the oil on medium high heat and keep this heat consistent. 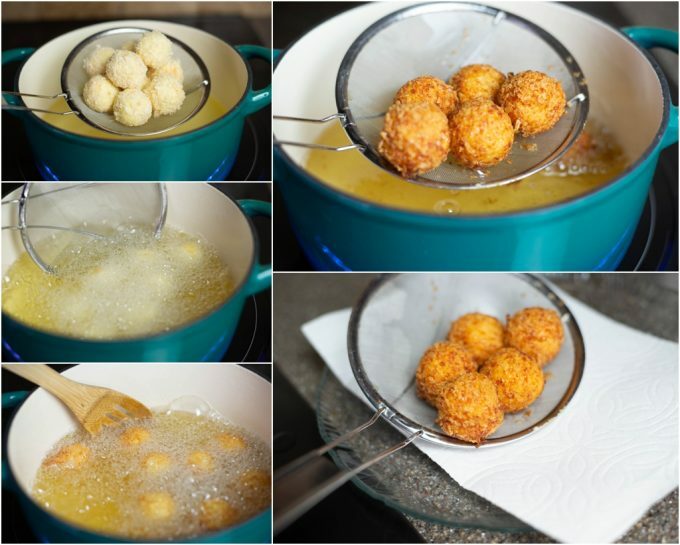 Once the oil is hot enough, add the first batch of the cheese balls. Quickly agitate the bottom of the pan so that the balls don’t stick to it. For the first few seconds keep gently moving the balls from side to side. This way until the crust is formed, balls will no stick to each other. Fry these cheese balls until they turn golden brown. This should be enough time for the cheese to melt and mingle with other ingredients. Place ready ones on a paper toweled plate. Voila! How easy was that? If you have any questions, please feel free to write to me in the comment section. I know that a lot of people make my recipes (I can see it on my back end :) But I rarely hear from you guys. I would love to know what you are making and what you guys are up to. In a medium bowl mix together shredded mozzarella, cream cheese, egg, 1/2 tsp garlic powder, oregano, salt, and flour. Mix everything well together. 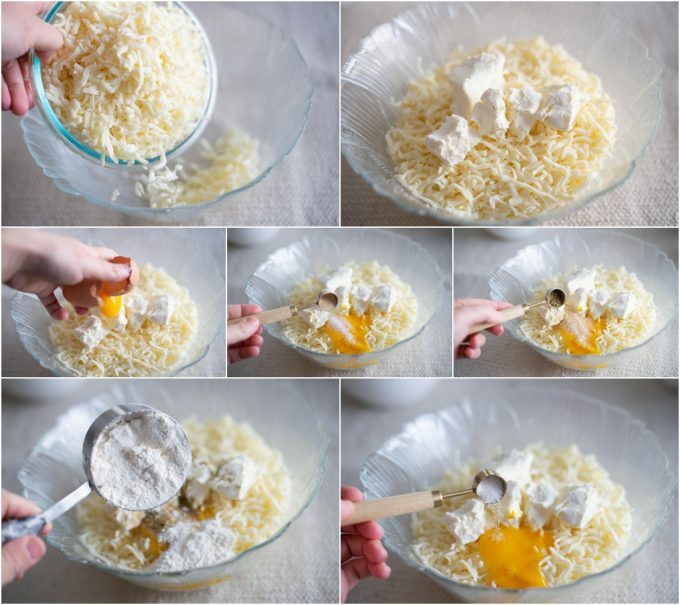 This part is a little labor intensive :) As you need to make sure that every part of cheese is mixed and covered. Heating a small pot with frying oil is ideal. Heat the adequate amount of oil on medium high heat and keep this heat consistent. The oil should easily cover the cheese balls. Try not to use a big pot for this purpose, as you will just be wasting oil. 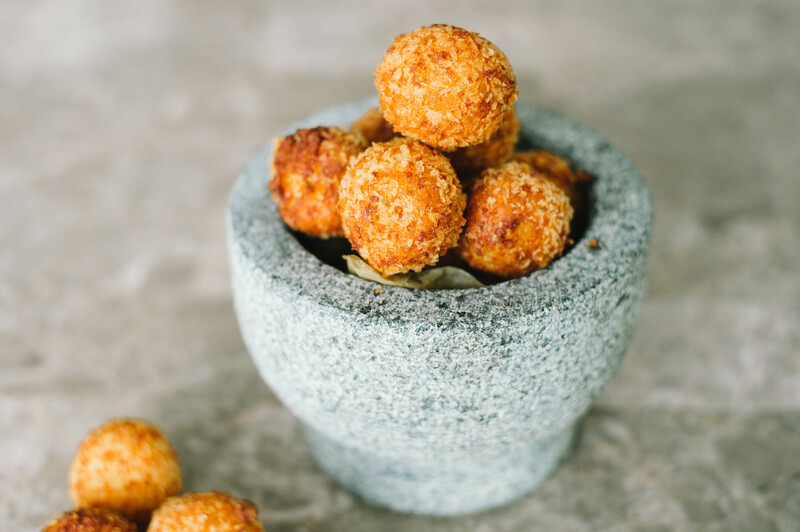 Frying these cheese balls will happen in batches. I fry about 8 balls in one go. They fry very quickly, so you will not have to wait too long.